Heat oven to 350°F. Line large cookie sheet with cooking parchment paper. Separate dough into 8 triangles. Cut each triangle lengthwise to make 2 narrow triangles. In small bowl, mix brown sugar and cinnamon. 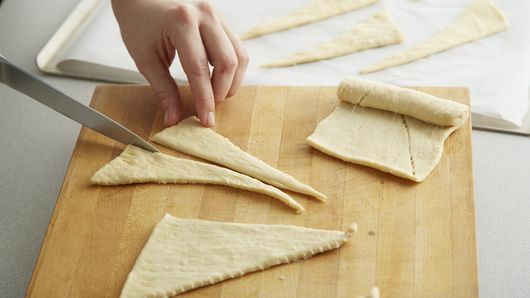 Brush triangles with melted butter. 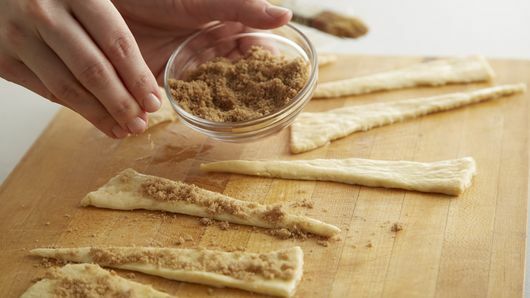 Sprinkle 1/2 teaspoon brown sugar mixture on each triangle. Top with chopped pecans. Roll up, starting at shortest side of triangle and rolling to opposite point; place point side down on cookie sheet. Brush each crescent with egg. Top with any remaining brown sugar mixture. 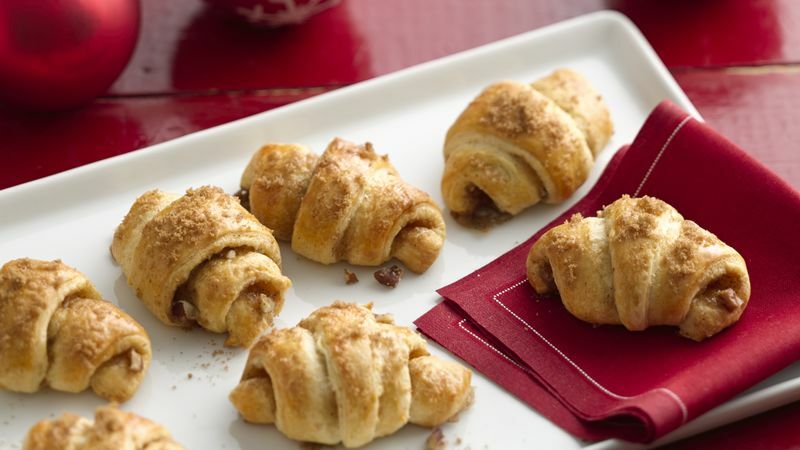 Bake 12 to 14 minutes or until crescents are deep golden brown and baked though. Store leftovers in a zip top bag for up to three days.